As 2014 moves to a close it's time to see where 2015's adventures will take us. From medieval Mdina, Malta to the white sands of the Maldives, here are our 10 picks for travel destinations in 2015. To see the world's largest ecosystem, go northeast of Australia for marvelous life and color underwater. Due to Australian government developments to add more ports, there will be some destruction on parts of the Great Barrier Reef. Now's the time more than any to see the reef in its current state. 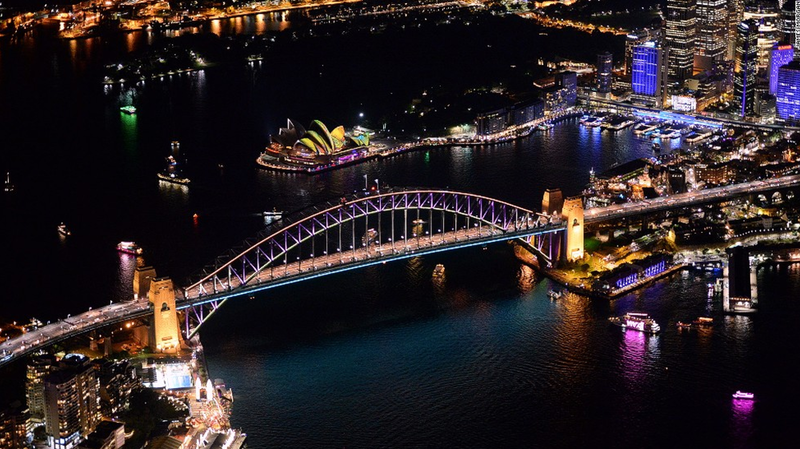 Also, check out "Vivid Sydney" from May 22 - June 8, 2015, Sydney's annual light festival that sees over 1.4 million people over 18 days. This Georgian coastal town has been getting hype recently, and it's not hard to see why - think American southern charm, gorgeous Spanish moss trees, and plenty of US history. Budapest is an Eastern European gem that deserves more recognition. Seeing the Hungarian Parliament building lit up at night is more than enough reason to head to Hungary (it was constructed with the viewer's eye in mind). Malta is an often overlooked European country as it is a small Mediterranean island off the south coast of Italy. Maltese is the official language, though a majority of the people speak English. Don't let its small size deter you though - there are a number of activities to occupy your time, including diving, a trip to the blue lagoon, or wandering around the streets of Mdina, a medieval walled city. China's tourism continues to be on the rise, which is no surprise. Try Beijing or Shanghai for a big city feel or Macau for a taste of "The Vegas of the East." For a not-so-typical experience, head to the countryside for a more immersive and rural feel or the islands for a tropical vibe. For adventure sports and scenery that is beautiful beyond comprehension, add New Zealand to your 2015 travel list. Spend time on the north island for volcanoes, mountains, forests, and beaches or on the south island for hiking, winter sports, and rafting. The Maldives are supposedly offering more budget-friendly opportunities, which is exciting for backpackers who have dreamed of this formerly "luxe only" destination. With turquoise water and white sand, you'll never want to leave this Central Asian paradise. Spend some time wandering Transylvania this 2015. Picturesque castles, including Bran Castle (Dracula's Castle!) and Peles Castle await, in addition to other things to do, like spending some time on the beaches of the Black Sea Coast. Spanning over 2,600 miles of coastline, Chile offers something for any traveler. If you're looking for mountains, the city, the desert, or even the natural wonders of Patagonia, you'll find it all in Chile. Many say that Iceland and New Zealand are similar in a number of ways, due to their remoteness, natural beauty, and opportunity for adventure. For Iceland, however, make sure you try gourmet hot dogs, take a dip in the Blue Lagoon, or go to Gullfoss Waterfall. If you have the time, take a road trip on the "Ring Road," a popular, circular route around the country. Newer PostReturning From Study Abroad: What Next?